I’ve been working on cleaning and reorganizing my sewing room. It is a huge job. In the process, I came across this small top that I had started hand quilting a few years ago. I never got very far. I remembered feeling very frustrated with this. Looks like I was trying to hand quilt through a batting with scrim. So I have taken it apart and I’m back to this. I hope to get it basted again today with some different batting and then I’ll start over on the quilting. But first, I’ll be finishing the binding on this. Hope you enjoy some slow stitching today! 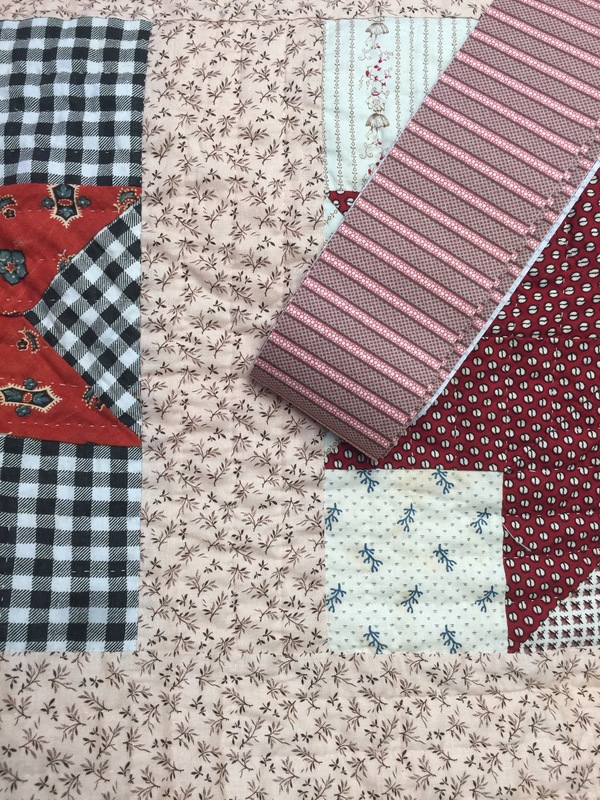 This entry was posted in Hand quilting, Vintage Quilts. Bookmark the permalink. 11 Responses to Slow Unstitching? 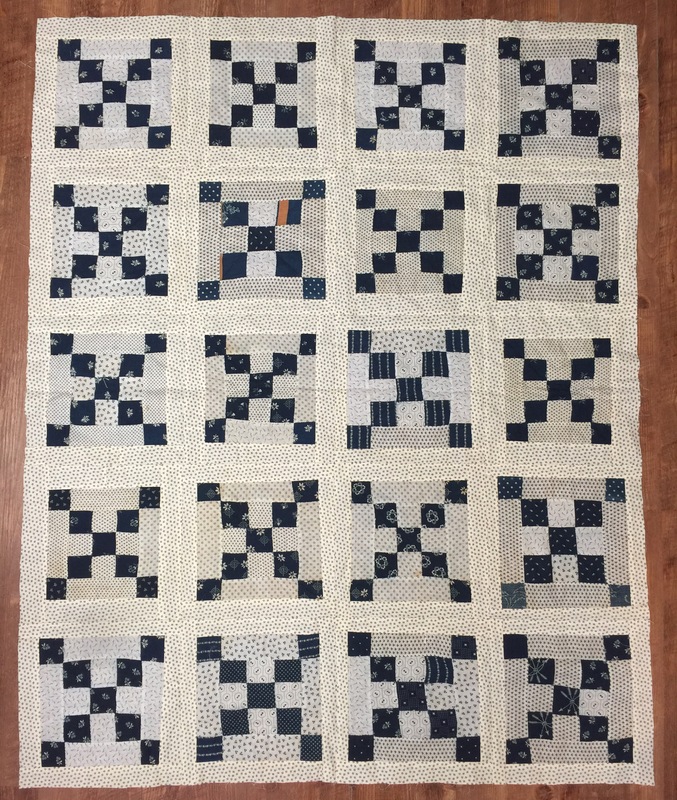 Love your blue and White quilt. It deserves to be finished! Funny, that’s what I was doing while I was watching Foyle’s War – slow unstitching. 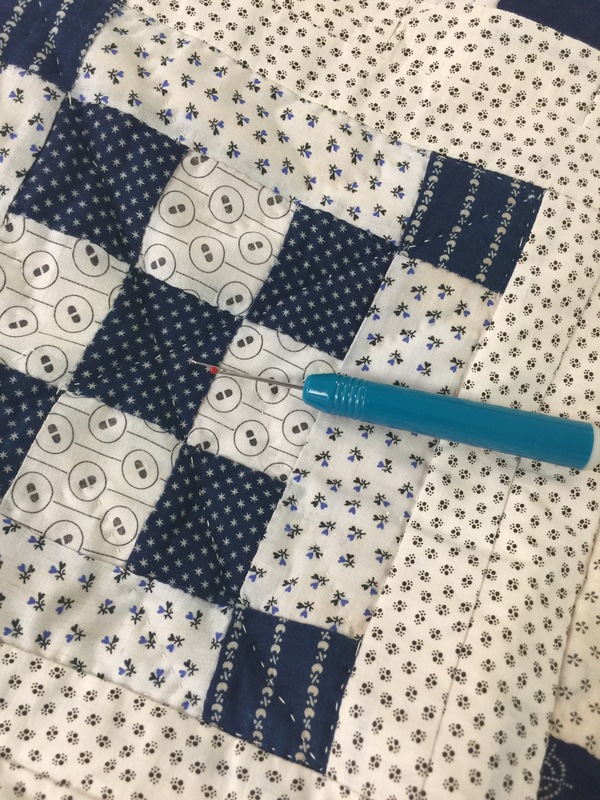 Oh yes… the batting can make a big difference to the enjoyment of hand quilting! Hopefully you had some fun stitching today! I like that you have decided to go back to that pretty quilt. I never realized that scrim could be a problem with quilting. That quilt will be a success story, really like it. I am on the same path as yourself in the sewing room this week, no make that this month. 43 years worth is going to be slow going for sure. Luck to both of us! I did some unseeing this week too. It took forever but I’m much happier with the quilting now. I’m also working on some binding today…we are quilting twins this week! lol…I am unpicking today also! As for batting, if you can give wool batting a try, go for it! It’s like quilting through butter!!! Unpicking is no fun, but the new finish to that quilt will be fun. It’s too pretty not to finish. Looking forward to seeing the binding all done on the other quilt!